Winter is here! As the temperature drops across the country, make sure you know how to keep your pets safe. Here are 4 simple tips to keep your pets safe and warm this Winter. Just like us, your pet can be susceptible to the cold. That means your pet should be indoors as much as possible, and if they need to go outside, make sure they stay warm. If you think it’s cold outside, there is a good chance your pet does too. Give your dog a warm jacket or sweater, and boots to help keep them warm when they go outside for walks or playtime. Yes, you read that correctly…invest in boots for your dog! Muttluks Snow Mushers protect your pet’s feet from the cold and also prevent them from coming into contact with salt and other de-icing chemicals. I like Muttluks Belted Dog Coats because they have three layers of protection to keep your pets warm and they are easy to get on and off your dog. I must add that they are also fashionable, so your pet will be envy of all the dogs in the neighborhood. Also, be careful about the amount of time your pets spend outside during winter. Leaving your pet outside or even in a car on a cold winter day for long periods of time can be dangerous. 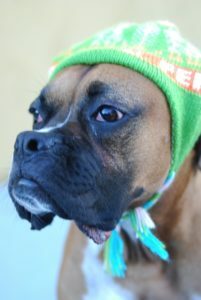 Like us, pets can suffer from hypothermia and get frost bitten. When in doubt, leave your pet at home. As every pet parent knows, your pet’s paws pick up all kinds of dirt, allergens and unfortunately even dangerous chemicals. During winter, it’s common to find salt, de-icing chemicals, and antifreeze on the ground. If your pets are not wearing booties when they go outside, be sure to wipe your pet’s paws immediately after they come inside to prevent them from licking and ingesting any dangerous chemicals and keep them from tracking these around the house. 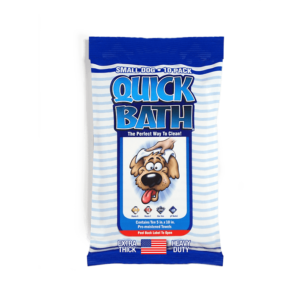 QuickBath® Dog Wipes, from International Veterinary Sciences (IVS), make wiping paws a breeze. No bathing required. 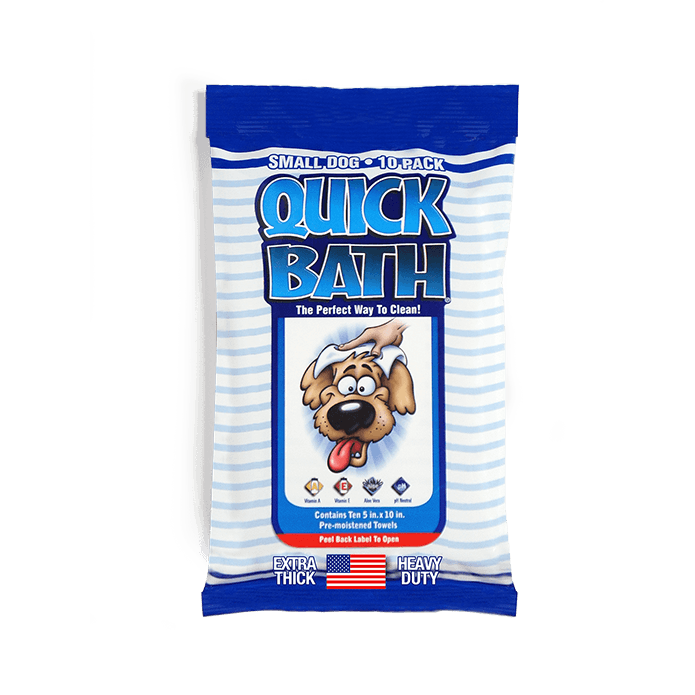 Just grab one of these wipes to clean your pets’ paws and prevent them from licking dangerous chemicals off their feet or tracking them into your home. Let’s face it, who wants to go potty outside when it is freezing? Many pets refuse to go out when it is rainy, snowing or just plain cold. The Pet Loo, a portable indoor toilet for pets, is a great option for these pets. 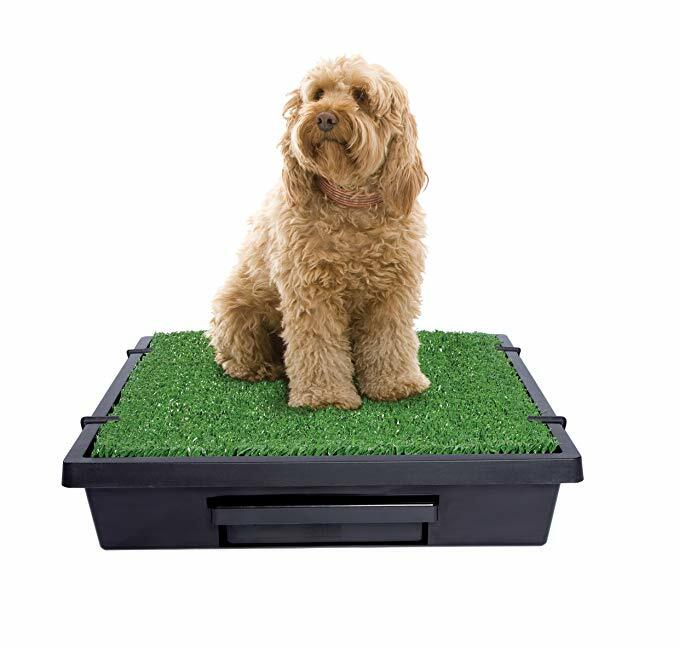 The Pet Loo brings the backyard inside, so your pets don’t have to go out and be miserable like the weather. And that means you do not have to go outside when it is freezing either! It is also great for pets whose parents work long hours…no more waiting with their legs and tail crossed! Remember if you think it is cold outside chances are your pet will too! Keep these simple tips in mind to keep your pet safe and warm this Winter.